The 106,000-sf development is situated along San Gabriel Pkwy., b​etween 183A and Mel Mathis Blvd., at 640 Mel Mathis Blvd. 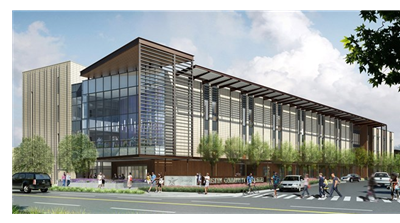 It will have an initial capacity of 2,500 students and feature 17,500 sf of classrooms, 4,800 sf of science labs, space for a combined library, a learning lab, 8,600 sf of administrative areas and 8,000 sf of indoor and outdoor common areas. The Leander project has an estimated cost of approximately $60 million. The project broke ground in May 2016 and completion is expected in 2018. ​Wa​nt to be educated on more Texas education stories? Click here​.